A Simple Cold Brew Coffee . . . kind of . . . 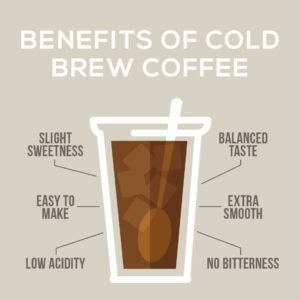 When making cold brew coffee there is alot to compare between it and hot brew coffee. With the recent articles in the news relating to carcinogens released in Hot Brewing I started looking into other options. So I welcomed the great taste of the low acidity and smooth flavor of the Cold Brew. Well I came across this when I did my review of the Animato Whipped Cream Dispenser. I was exploring other uses and discovered I could pressurize the coffee grounds and water in the whipped cream dispenser to infuse the cold brew. While some cold brewing techniques require 1 -2 days this method gave me the same results within 2 hours. Well in my personal opinion this Cold Brew Coffee was even better than some cold slow drip coffee brew that cost me alot more money. Add coffee and water to a one-liter whipping siphon. Charge with three cartridges of N2O. Chill - Place siphon on ice or in the fridge for two hours to infuse. Holding siphon upright, release pressure by slowly pressing the lever. Place a coffee filter in a Chemex or other pour-over brewer. Unscrew siphon lid, and pour coffee into coffee filter. Dilute with cold water to desired strength and pour over ice.